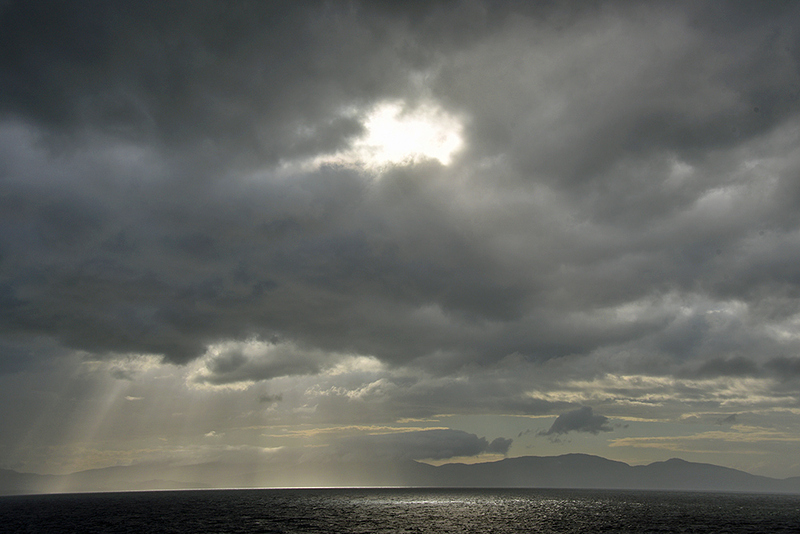 A view from a ferry crossing to Islay in June 2017, the evening Sun breaking through the clouds over the south east coast on the way to Port Ellen. This entry was posted in Cloudy Weather, Landscape, New Post and tagged ferry, Islay by Armin Grewe. Bookmark the permalink.